Is it possible to install Boris Graffiti on Studio (AVID or Pinnacle) ? Is it possible to install Boris Graffiti on AVID Studio or Pinnacle Studio without Studio 12 ? The answer is yes, definitely ! The discount will end in few days... If you still want to benefit, hurry up. With the release of Le Papy tutorial (Integrate in Studio 17 Digital Alarm Clock Created with Boris Graffiti​), we have negotiated a 10% discount for purchasing Boris Graffiti for Pinnacle Studio 17, and also valid for Pinnacle Studio 16, Pinnacle Studio 15, 14 or Avid Studio. Update of the tuto "When Everything Goes Wrong"
Ripple Transitions: This is New? This command has long existed in Studio. It is very useful for quickly creating a slide show. It is very well documented in the software. You just installed Studio 16 and I am sure that your Declic Video's transitions are not present, nor your old functional free plugins or provided with a previous version of Studio. So do not panic and before you ask the question, I will explain the procedure. 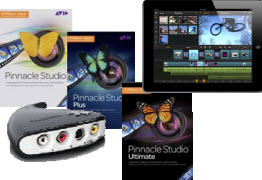 Corel Acquires Pinnacle Products from Avid - Pinnacle Studio 16 ? 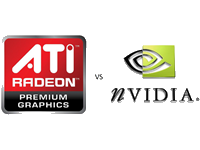 What about AVID Studio ? And Pinnacle Studio ? Pinnacle Studio 16 is born ? AVID Studio will disappear ?